Pour 2 cups of lentils into a over sized mason jar. Pour enough distilled water into the jar to fill it half way. Let soak overnight. Drain the water in the morning and place the jar at an angle with the mouth down. Keep in this position overnight allowing the lentils to drain out any additional water. By the next day you should start to see sprouts and you are ready to start your soup. 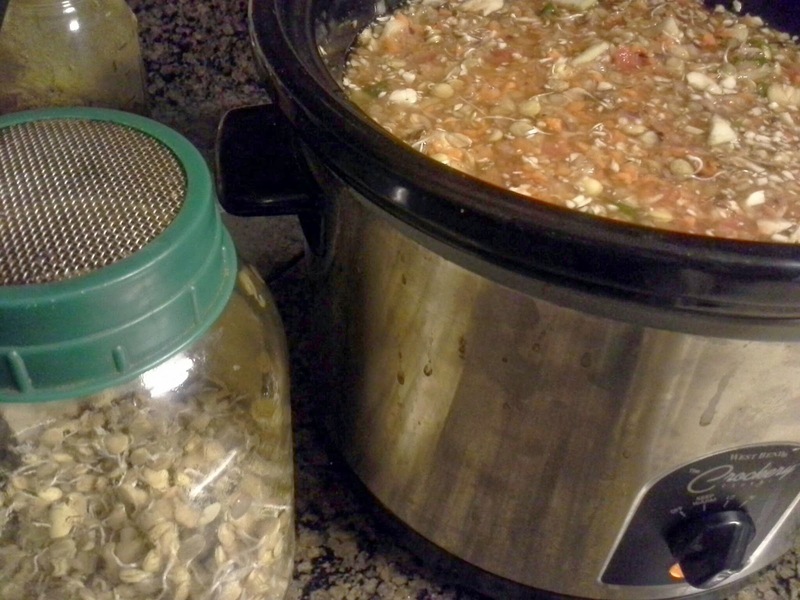 In a crockpot or stew pot add water just above 1/2 way add your ingredients from the recipe list. Stir and cover. Bring to a boil then turn down to medium or low to cook overnight. Ready to serve the next day. Refrigerate, Re-Heat, and serve.